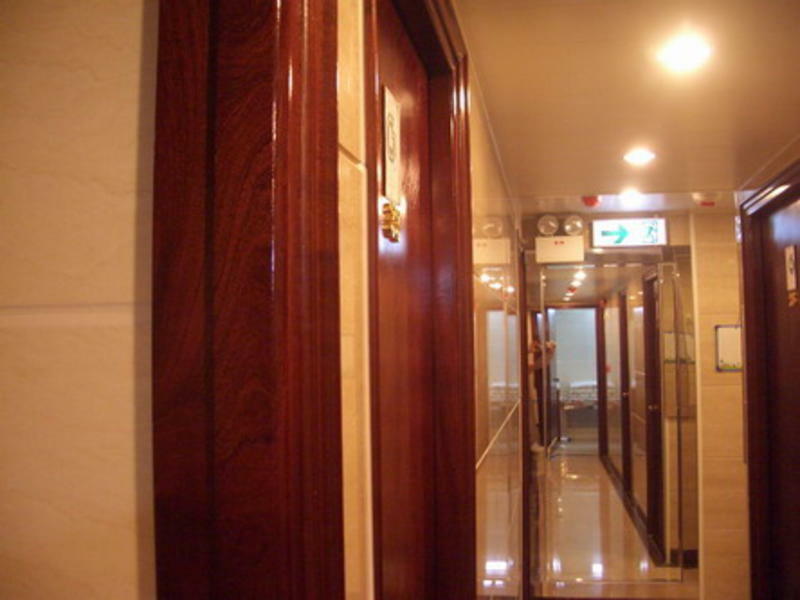 Our friendly guest house is located amidst the bustling tourist belt of Tsimshatsui. Rising above HongKong's premier cultural and leisure district, (Tsim Sha Tsui) the heart of Hong Kong's Shopping and Nightlife. we are experienced and will share our knowledge with you. Our aim is to be the hostel for backpackers and student travel, and every traveler looking for great budget accommodation in expensive Hong Kong. No worries,No service charge,No Hassle. Pls read some reviews(positive and negative comments) of the hostels in Hong Kong before you make booking. it will help you to make a right decision.We hope never to mislead any customers in our hostel's description. Our guest house has recently been refurbished & upgraded throughout and offers our guests maximum comfort and value for money in the heart of the HK downtown. All rooms were newly decorated (100% brand new room),Our internet access allows you to keep in contact with friends and family back home,Our professionally trained staff are extremely friendly and helpful and will do their best to ensure that you enjoy your stay with us. The Maple Leaf offers a high level of personal service with attention to detail, clean comfortable well furnished rooms equipped with local direct-line telephone,24hrs hot shower,cable TV, air-conditioning, online service through wireless network(Wifi),bed sheet and bath towel,an individual toliet.and a welcoming and relaxed atmosphere. Right at our door step is the airport shuttle bus A21bus station.Rest at ease and you will arrive at the airport in just 30 minutes.The MTR Tsimshatsui and East Tsimshatsui train stations are only a mintutes's walk from our hostel,linking us with most parts of the kowloon Peninsula, HongKong lsland,New Territories and major cities in China. ** check-in time is From 12:00 noon to 24:00 midnight.The check-out time is 11:00 am. **Please specify your arrival time very carefully before you click the booking button, we would appreciate if you could provide us with the accurate arrival time (your flight Estimated of arrival time plus 0ne hour)in advance. ** Temporary storage of luggage for free of charge after the customer check out. If you wish to re-schedule your booking, any arrival date or time changes or cancellation, please send e-mail to us 72 hours before your arrival date. Phone call will not be acceptable. Otherwise the changes and cancellationwill not be available and the All nights room rent will be charged. Double Room (One big bed Room): Good for 1-2 person sleep only. A,our triple room is one double bed and one single bed. B,4 persons family room is two double bed room. C,The customer who take the own laptop can use our internet access for free. D.Our hostel is ideal for people who want a safe, quiet ,centrally located place to stay In TST district ( the best place for tourists )at an affordable price, which leaves our customers with money for sightseeing, eating and shopping. E.The chance to see the realities of Hong Kong living. The MULTIETHNIC atmosphere of the place. It was definitely an experience! if you like to try something DIFFERENT. - For muscular men and slim women with long legs, please choose rooms with double bed for one person accommodation or give us an advanced notice. We appreciate if you can inform us your flight number by email when you get this confirmation. (Please understand that the hostels have to allocate late check-out, early check-in, walk-in customers every day, the confirmed 'arrival time' help you and all guests to have the best arrangement.). CHECK-IN Normal Check-in time : 12:00 - 21:00. EARLY ARRIVAL & CHECK-IN If you arrive early we can possibly check you in before 12:00. However, this is dependent on your room being vacated, freshly cleaned and serviced by the time you arrive. If the previous guest has checked out early, it is more likely that we will have the room cleaned and serviced by 12:00. Although if there are many check-outs on the same day, it could take a bit longer. If your room is not yet available, we can register you, take payment and look after your luggage until your room is ready. When you return, your luggage will be in your freshly cleaned and serviced room. EARLY OR LATE ARRIVAL If you are due to arrive before 12:00 or after 21.00, call us, email us or call us on Skype to inform us at what time you will arrive. If you are due to arrive after 21:00 please make sure inform us, otherwise your booking may be cancelled and your room resold. 1. China HK City: This pier is just located at Tsim Sha Tsui area. Use the taxi only charge HKD$20 and take about 5 minutes then you are at our building. Also you can walk to here about 10 minutes. You will find the huge TV screen paste at the wall, that just the Chungking Mansions. When you make sure you are at Chung King Mansions, walk into the Block E ( just be close to the Chungking Mansions front entrance). You can see two lift, take the right hand side one,(stop at even numbers floor), push the 12th floor button, when you are out, you can see our reception should be within your sight. 2. SheungWan: This pier is located at SheungWan MTR subway station, take the subway 5 minutes to the Tsim Sha Tsui station, E gate. You will find the huge TV screen paste at the wall, that just the Chung King Mansions. It should be within your sight when you got off the E1 gate. When you make sure you are at Chung King Mansions, walk into the Block E( just be close to the Chungking Mansions front entrance). You can see two lift, take the left hand side one,(stop at even numbers floor), push the 12th floor button, when you are out, you can see our reception should be within your sight.